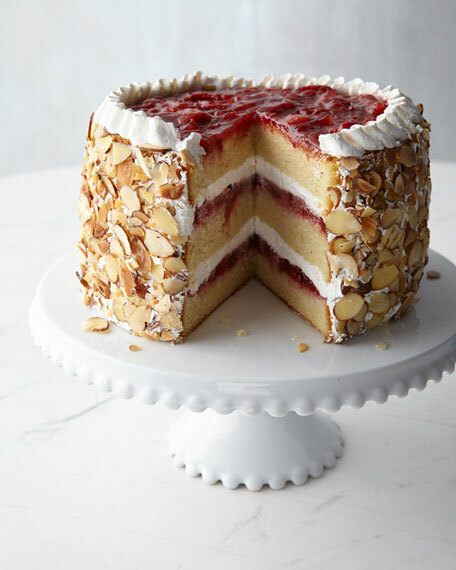 Sweet strawberries and clouds of cream layered with vanilla cream cake and surrounded with toasted almonds. Ships frozen; remove collar before thawing. Thaw overnight in refrigerator before serving.